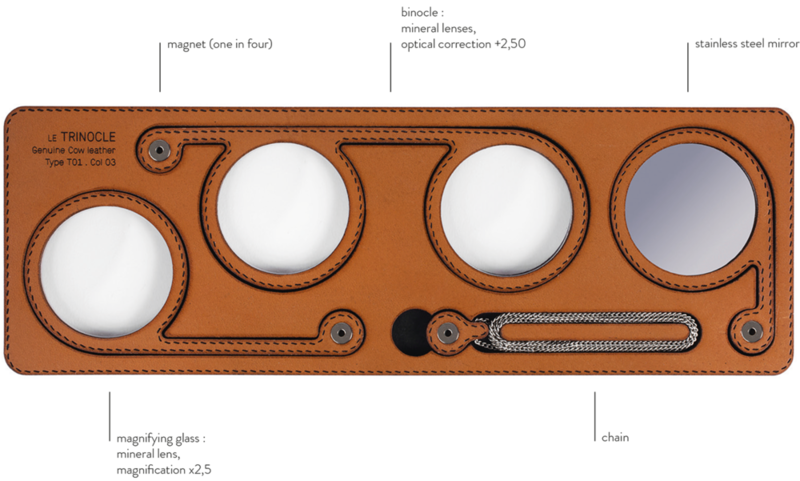 Le Trinocle is a unique accessory, joining a binocle, a mirror and a magnifying glass, ready to be combined as you wish, thanks to the included magnets. Handmade in Paris, using genuine cow leather, Le Trinocle is available in 5 colors. Playful, modular and multipurpose, it’s an exceptional piece, redefining what eyewear accessories can be. Combine at will !